Thanks for the clarification Carl. Interesting that Nissan referred to the then current Z32 as the "Classic Z's". Do you know if any of them were sold and badged as Classic Z's? If so, how many, and do they have any additional value? I have a vague memory of Courtesy Nissan offering one or two "Classic Z's".... but I was never interested in that part of the program, and it seems to have been dropped fairly shortly after the Vintage Z Roll-Out. Since there were still plenty of 90-96 300ZX's in the used car market, mostly with reasonably low mileage and good care - there really wasn't much demand for them at the Dealership level. I'll check with the guys at Courtesy, someone there might remember. Also the press release above says "followed by pre-owned Z-cars from the Z's 26-year history including early model Z-cars beginning with the 240Z (Vintage Z)." Did Nissan ever really take any steps towards remanufacturing any later Z's or was that just a marketing ploy? Things were still really up in the air at the beginning of the Z Store launch.. and I believe that many of the people at Nissan were still more or less playing it by ear. Had there been a huge demand for Classic Z's (their use of the term), perhaps that aspect might have gained some momentum. To the best of my knowledge Nissan did not intend to offer any Z's in that program other than the 70-72 240-Z's and the 90-96 300ZX's. There was some discussion related to taking 240-Z's into the Vintage Z process, that were privately owned, and whoes owners were willing to pay the $24K cost to have their 240-Z's redone... but that never happened as the reality of the situation became apparent - ie they really did not have the necessary stocks of NOS parts to do more cars, and the actual costs were exceeding the planned costs by a wide margin. Not to mention simply not being able to get that many cars done is such a short timeframe. There are many "sub-stories" to the Vintage Z story that make the whole affair quite interesting and contribute to the value of the cars. Carl paints a deeper picture of the corporate atmosphere during this period. Indeed Nissan was in trouble financially and the announcement that the Z would be discontinued in America was not received very well. Two events, Z-America Relay and the 1995 ZCCA convention in Atlanta, coincide with the placement of Mr. Yoshikazu Hanawa as corpoate president and CEO of Nissan Motor Corporation. Hanawa and Katayama are friends and share common corporate philosophy. 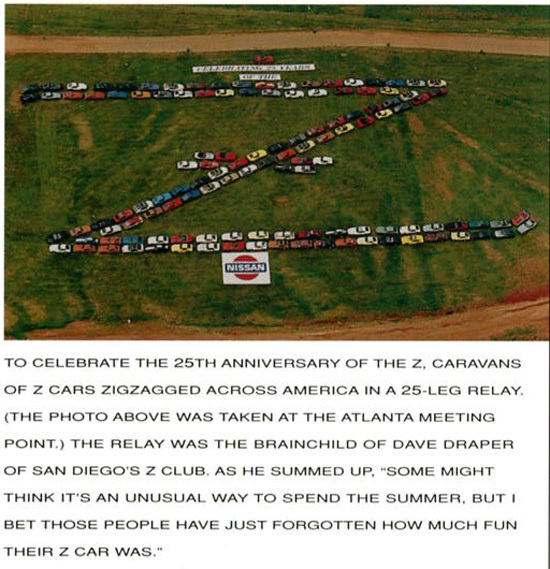 "The Z Car Club Association national convention was held in Atlanta in 1995. Henry Costanzo, president of the Georgia Z Club directed the efforts of over twenty planning committee leaders. â€œWe are delighted to have Mr. Yutaka Katayama attending our conventionâ€, read the event program. â€œWe are greatly honored that Mr. Katayama will be joining us for the 25th Anniversary Celebration of the Z Carâ€. Henry recalls the circumstances surrounding the invitation to Yutaka Katayama. â€œUpon his retirement, Mr. Katayama returned to Japan and had not been back in any official capacity since. The idea to invite Mr. K and celebrate the appreciation Z car owners had for him and â€œhisâ€ car, seemed unique and excitingâ€." Z-America Relay ended at the convention in Atlanta. This picture was taken by helicopter at Road Atlanta. "It cannot be understated what a large impact these events had on the direction of the future. Articles appeared in the Japanese press concerning the popularity Mr. Katayama was receiving in the United States. People throughout the industry noticed this most extraordinary expression of consumer orientation and brand loyalty. Concurrently, during this time frame, the automotive press covered the placement of a new President / CEO of Nissan Motor Corporation; Mr. Yoshikazu Hanawa. Nissan leaders were celebrated in the press and conversations dealt with the future direction of Nissan." â€œWe decided to do the Laser Light Show up at Stone Mountain and when I made the arrangements, they told me for an extra $100 they could put up â€œWelcome Georgia Z Club, Welcome ZCCA, Welcome Mr. Kâ€, so we did it. After the show, we had Mr. K in a receiving line / parade of Z cars â€“ over 100 of them â€“ and the man was to the point of tears. 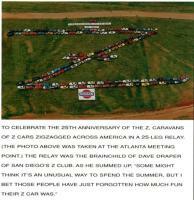 He had no idea how popular he was and how many appreciated his efforts to bring the Z car to Americaâ€." There are some other key incidents that play into the story, however it is fair to see how well Bob Thomas' plan for a $200 million ad campagin was received. 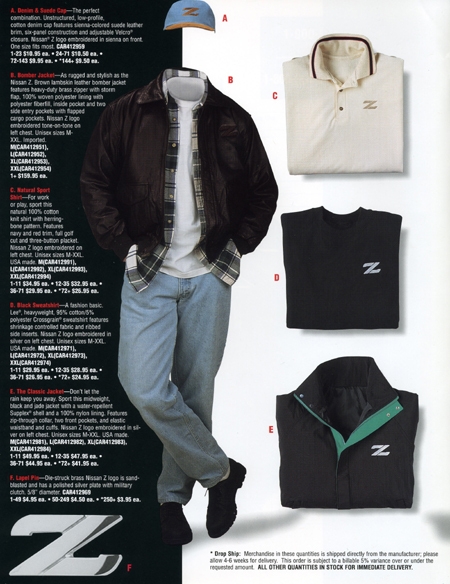 Mr. K was reintroduced to America and the Z-Store program was put into place. Initially, it was a special sales program to sell a very large stock of leased 300ZXs and was announced at the Z retirement party - Peterson Automotive Museum. Carl, I don't think Nissan ever admitted loosing money on any of the Vintage Z restorations. I have Z-Store releases that say they made money on them. I thought we just finished dispelling the rumor that the program ended over lack of parts. It didn't. It ended over the inability to produce 200 cars for sale with a 12 month / 12,000 warrenty in a period of 20 months. Nissan, employing four different restoration shops and eighteen body shops, couldn't meet the demand. Why eighteen different body shops? What is forgotten is that during this period, Southern California experienced rainy weather for a long period. Body shops were swamped with collision work. What seemed to be a fairly simple task turned into a management nightmare. "Sales waned as dealers couldn't sell cars they couldn't get". Nissan decided to focus on the new Z and funding for the program was discontinued. Here is some Z-Store literature. (quote)Thanks for the clarification Carl. 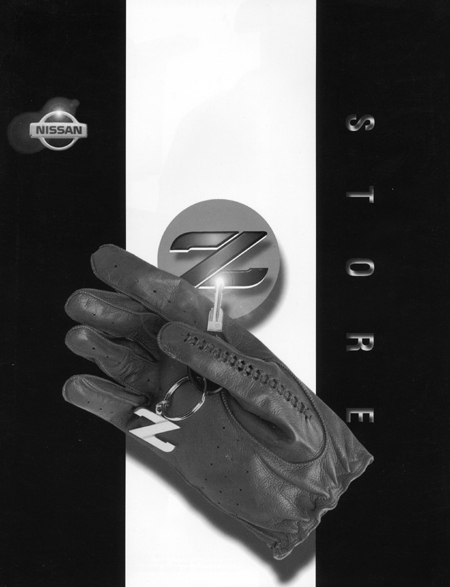 Interesting that Nissan referred to the then current Z32 as the "Classic Z's". Do you know if any of them were sold and badged as Classic Z's? If so, how many, and do they have any additional value? The "Classic Z" was the initial portion of the Z-Store program prior to the introduction of the Vintage Z. There were plenty of 300 ZXs on the used car market; they were lease trade-ins and the dealers had them. That's why they initiated the "Classic Z" sales program. I do not know how many 300ZXs were sold this way, but they came with a certificate and bronze plaque. I see them occasionally on eBay Motors. 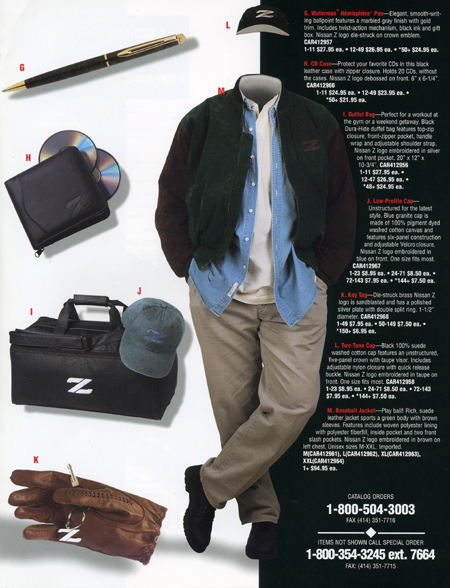 Contrary to what Carl has posted, the Classic Z was half the Z-Store program. No other models were involved. Just the S30 and the Z32. Special 240Zs were restored for specific customers, however. HLS30-08808 was built as the "240-ZR". Photo below. HLS30-00222 was built for Morrrie Sage and Keith Crane, publisher of AutoWeek, had one custom built. You guys are making it very tough for me to sell this car. Geeezzzz!!! Sorry, Bob. Didn't mean to hijack the thread either. 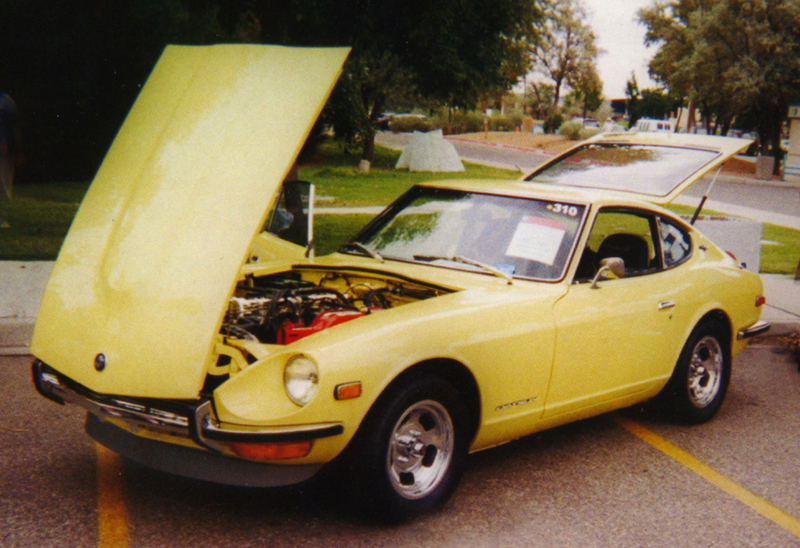 The Vintage Z story is a great blurb of automotive history and I love talking about it. I appreciate the cars very much and agree with their distinctive value. And thanks to Carl and his mentioning the Hanawa connection, I did a little more research into Bob Thomas and the corporate climate surrounding these events. Found a couple af very interesting articles. Thought I'd give you guys an update. There's 155 people watching the auction. I bet at least 154 of them belong to this club! I've had several offers that are above the minimum that I may consider if I don't hit my reserve, but nobody's even bid on it yet! I'm hoping it's that "post your bid in the last 15 seconds" ebay syndrome thing! I think there are many people (including me) who would prefer to conduct transactions of this type outside the confines of Ebay. Good luck with your sale! One thing though that struck me was the gas tank, for a "resotred" Z it didn't look that great or is it me? everything else looks so nice. I think that rust is the wrong color. About the gas tank, I'm embarrassed. I used a shop rag to wipe it off and some of the red lint pulled out into the undercoating. I need to clean it off again with a towel. The flash really makes that show up. Bad on me!!! Did everyone see bobc's disclaimer about the picture of his gas tank in item #17? Makes sense to me, given the quality of the restoration. I looked at Bob's gas tank this weekend. It is as clean as the rest of the car. And black it is. Thanks Randy, I cleaned it up and used a white cloth rag this time! Haven't had time to get under it to take a picture. haven't seen these on ebay for some time and now two in the last few weeks. 10K lower starting bid. maybe he'll get a bite. i seem to remember this ad, the part where he won't sell to just anybody rings a bell. Another one!!! I wish to have one of the 37, them will never sell it! LetÂ´s see if this one is had some bids on it!! This is interesting from a point of view, but from another seeing 2 Vintage Z cars being sold almost at the same time, makes me sad. I've seen several cars up for auction that were poised in front of this very garage, but not by this seller. The name of the other seller escapes me. I agree..SCAM!! Well this one should prove interesting...Carl and I both know where these pictures were taken. But, the purchaser does live in Ma., so maybe it is real. It would sure be an incredibly low price for this car to start with because we also know what the seller paid for it and what the current owner paid for it. I understand he's put it on ebay before but the starting price was considerably more and took it off after one day after having second thoughts. I can't say that for a fact, because I didn't see it. Now, an update. I did sell my VZ yesterday. For the naysayers, I'll just say I'm very happy with the price, but the buyer is happy too, which is the way I wanted it to come out. I'm sure the price will leak eventually. It should help increase the value of our cars. Second thoughts on selling it? Oh a thousand or more and if the purchase fell through I would be just as happy as I am with selling it. One day when it's worth $300K or so, I'm sure I'll be kicking the heck out of myself. I'll be watching this one on line for sure! I will not sell the car to a person who is going to destroy the car, it's a classic and should be treated accordingly. I love quotes like that in ads! The real truth being that if I had a car for sale and it met the reserve and I was happy with the amount I received, what happens to it after the new owner takes ownership is out of my hands. Oh sure, I'd hate to see a FRP car turned into a 4X4 but what could you do? I agree. You don't want to sell "your baby" to someone who is going to destroy it, but in reality what can you really do? Once you sell it, are you going to require the buyer to send you pictures and mileage records once a year??? Once it's gone, it's gone and the new owner can do anything they want to with it, so I don't know why people put things like that in their ads. Also, the VZ on ebay has been pulled off. It says by the seller because it is no longer available for sale. I've written the seller to see if I can get the rest of the story. I'll post if I find out. Randy won't sell me his lime green VZ (at least not yet! ), so I was seriously considering taking mine down to the body and having it resprayed lime-green and then putting it back together. I couldn't do it any cheaper buying another car and it certainly would never have the quality of parts a VZ starts with. And, I doubt it would have seriously hurt the value of the car. Now that idea really upset some people! Just noticed that mine, I'm going to have to get used to saying my former! i emailed seller and asked for the vin #. he responded at 8;12 am this morning (45 minutes before auction ended) . the vin # is HLS-60354, # 31 of 37. there was no 30 after the S.
Yes. That was HLS30-60354 in the eBay ad. Owner decided to keep it in the family.